Merry Christmas Eve everyone! We made it! I am totally and officially done shopping (thank gooodness)! And we are currently celebrating Christmas number three tonight. Does anyone else always have like 4 Christmas’s before the actual Christmas?! We’re headed to my grandmas tonight for a cozy night in and my parents are throwing a big party on the actual 25th. This age is always weird around the holidays. I feel ready and would totally love having everyone over but I also am not ready to grab the torch yet from my parents. Ya know? I still love having smaller parties through out the month and I’m almost always going to bring a dish with me! 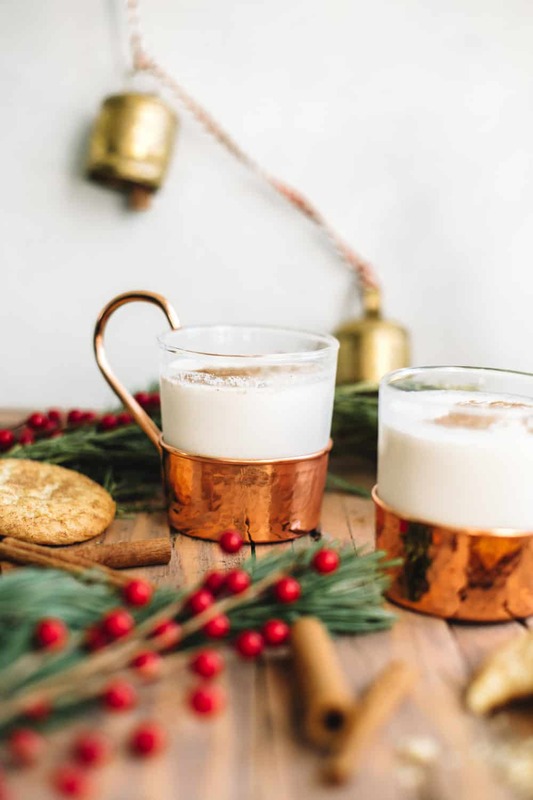 Tonight I wanted to whip up something extra festive and very ‘santa’ themed because it is Christmas Eve after all! This was hands down one of my favorite cocktails of the year! The flavor was just SO good. 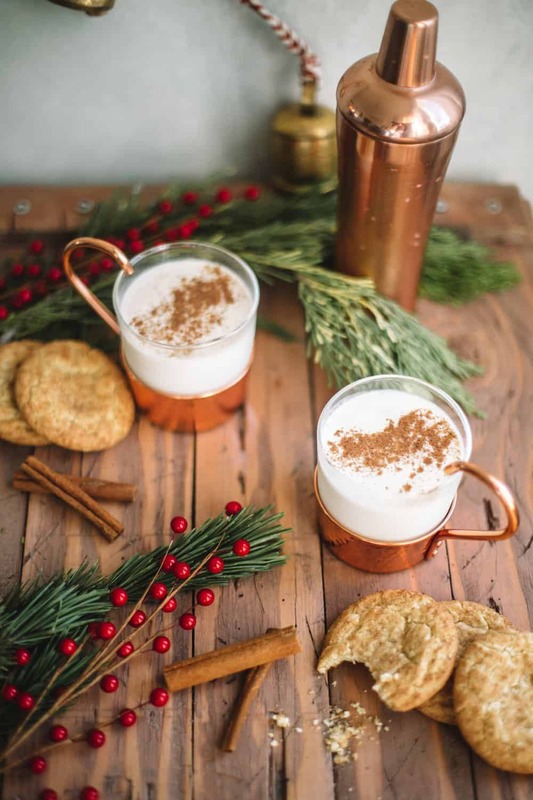 We soaked milk in a bowl of snickerdoodles as the base and spiced everything up with cinnamon and whiskey. I was getting some major Christina Tossi Milk bar vibes with this cocktail! 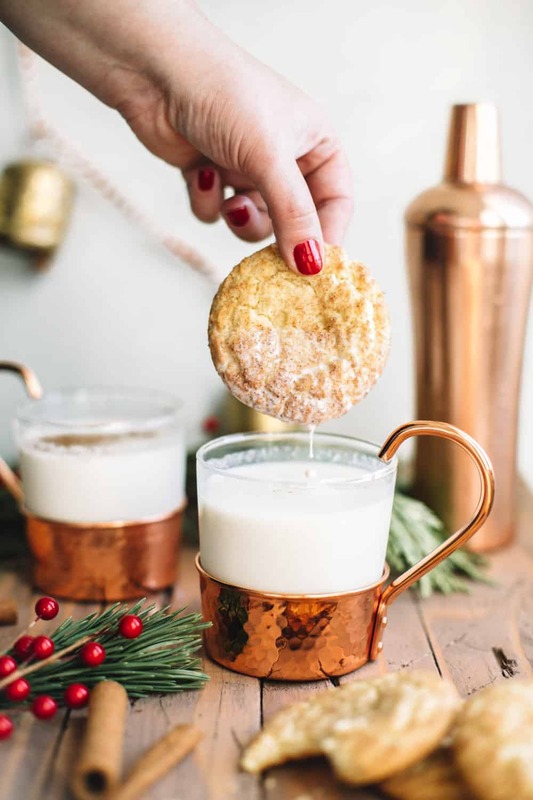 The recipe for this easy and festive cocktail comes together very easily but be sure to soak your milk with the snickerdoodles for a few hours before making them! Cheers! And Merry Christmas everyone! In a large bowl lightly crush the snickerdoodle cookies. Pour in the milk and stir together. Cover milk and cookie mixture and refrigerate for 2-4 hours to infuse the flavor. Remove the milk and straight out the soaked cookies. 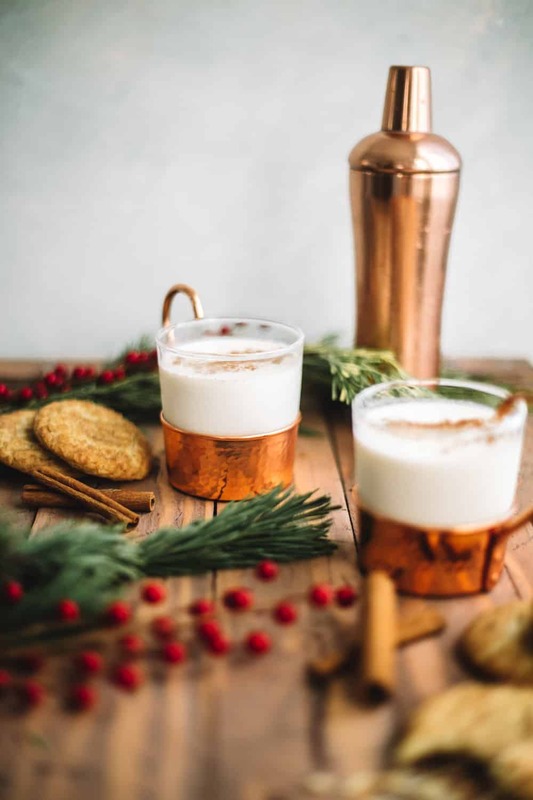 For one cocktail: Fill a shaker with 8 ounces of cookie infused milk, 2 ounces of whiskey, cinnamon and nutmeg. Fill with ice and shake for 20-30 seconds. Pour into a mug and sprinkle with cinnamon. 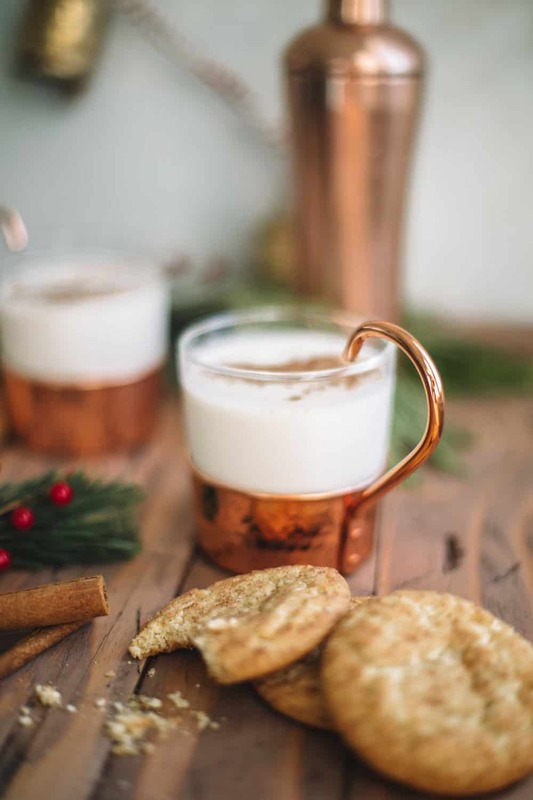 Where can I find those copper mugs? They’re FANTASTIC!! !